The gap between men and women in social, cultural and economic equality is not inevitable. Bridging this disparity has been a goal of policymakers to reduce overall poverty and improve standard of living. The existing literature has typically overlooked feminist economics, especially the ramifications of trade policies with respect to gender. To address this issue, the Commonwealth Secretariat has been trying to make governments and institutions mindful of the differences in the actual and potential benefits of a policy that are realized by the two genders. 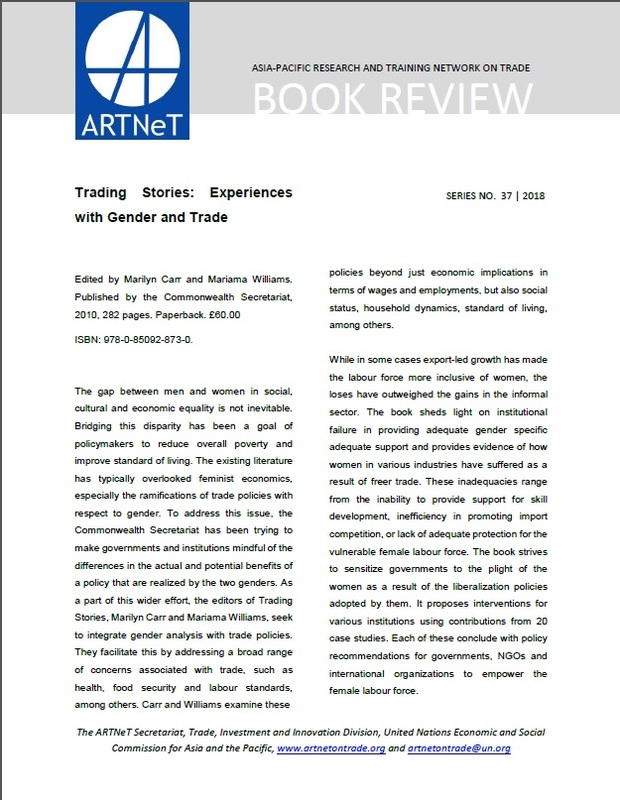 As a part of this wider effort, the editors of Trading Stories, Marilyn Carr and Mariama Williams, seek to integrate gender analysis with trade policies. They facilitate this by addressing a broad range of concerns associated with trade, such as health, food security and labour standards, among others. Carr and Williams examine these policies beyond just economic implications in terms of wages and employments, but also social status, household dynamics, standard of living, among others.